View of the Battle Monument, John Rubens Smith (1775-1849), 1828. Courtesy Library of Congress, LC-DIG-ds-01545. 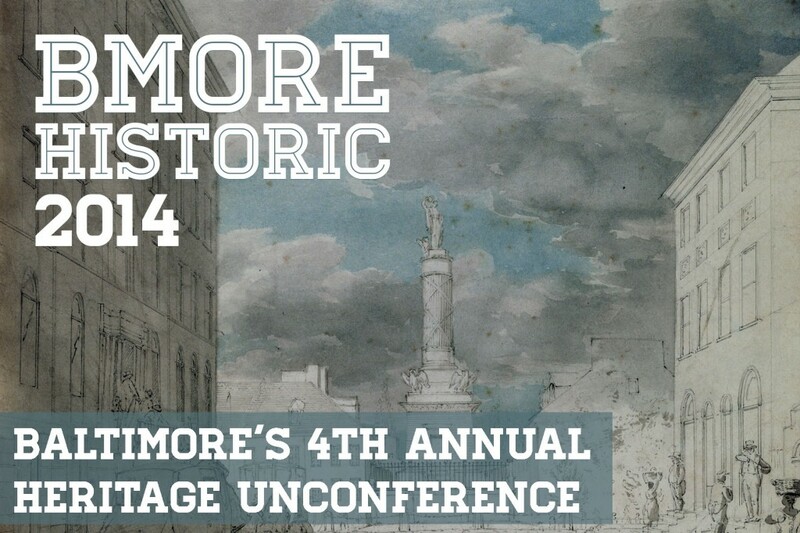 Bmore Historic is a participant-led unconference on public history, historic preservation and community development in the Baltimore region and across the state of Maryland. Organized in partnership between Baltimore Heritage, the Maryland Association of History Museums, Maryland Historical Society, the Maryland Historical Trust, Preservation Maryland, and the UMBC Orser Center, Bmore Historic is an opportunity to connect with local historians, humanities scholars, preservation advocates, museum professionals, archivists, and anyone interested in exploring the vital intersections between people, places and the past in Baltimore and Maryland. We’re bringing people together and you set the agenda. Learn more about this past unconference on the 2013 website. Thanks to the continued generosity of the Maryland Historical Society and the hard work of our small organizing committee, we came back October 12, 2012 for more discussions on public history, historic preservation and community development in the Baltimore region and across the state of Maryland. Visit the 2012 Bmore Historic website for more information. More than 100 local historians, humanities scholars, preservation advocates, museum professionals and archivists joined us at the inaugural Bmore Historic unconference in December 2011. Visit the 2011 Bmore Historic website for an archive of proposal, notes and participants.